Elements of Composition Blend 3 this Friday! This Friday, February 1st, when our restaurant and tasting room open at 4pm, we're proud to release Elements of Composition Blend 3! 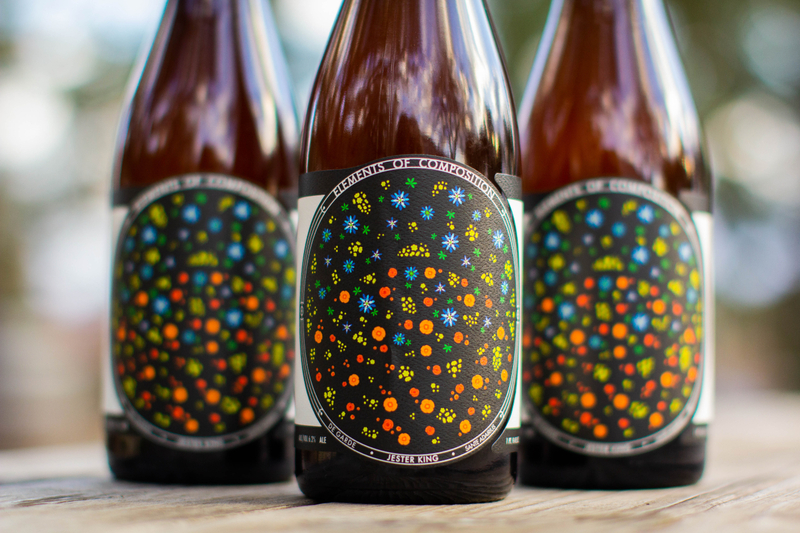 Elements of Composition is a special project with De Garde Brewing in Tillamook, Oregon and Sante Adairius Rustic Ales in Capitola, California that began in early 2016. Back then, we traveled to De Garde to create a special blend of 100% spontaneously fermented beer from De Garde, foudre-aged saison from Sante Adairius, and 100% spontaneously fermented beer from Jester King. In early 2017, we went on to create Blend 2 at Sante Adairius. Finally in early 2018, we created Blend 3 at Jester King. Elements of Composition is a beautiful blend of beer, friendship, passion and patience. We're very pleased to share the final blend of the project with you starting this Friday! Blend 3 will also be available at De Garde and Sante Adairius (dates to be announced). 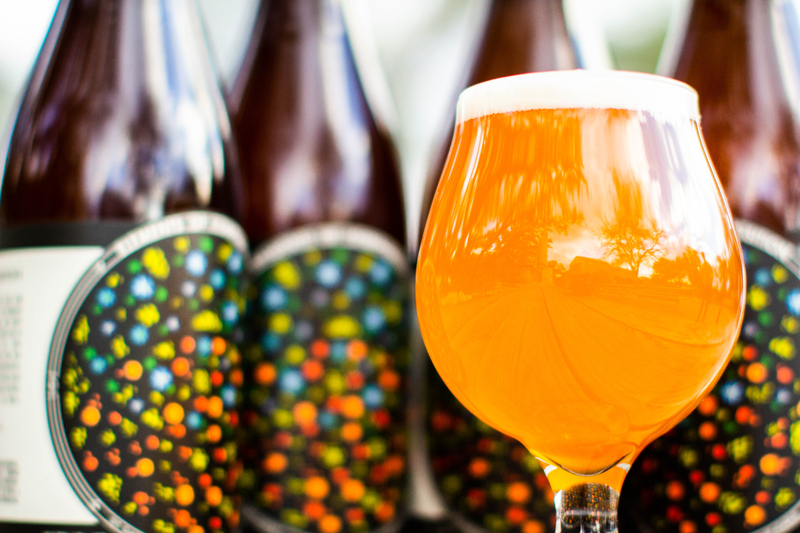 Blend 3 was packaged in March of 2018 and was naturally refermented in bottles and kegs. It's 6.2% alcohol by volume. It will be available at our restaurant and tasting room by the glass and in bottles to go. We have 360 bottles available (750ml/$28) with a bottle limit of one per customer per day. We'd like to extend a special thank you to De Garde and Sante Adairius for taking part in such a long, fun, and ambitious project with us, and for providing us with continual sources of inspiration! Cheers!